*This page is only for actors who were registered for the Sunday, July 24th Intensive and did not get to audition in front of Prestige Management Group. Saturday, Oct 15th, 1:00 pm - SOLD OUT! ​Saturday, Oct 15th, 4:30 pm - SOLD OUT! ​Sunday, October 16th, 1:00 pm - SOLD OUT! ​Sunday, October 16th, 4:30 pm - SOLD OUT! *The following will be at the 1pm and 4:30pm workshops on Saturday. Shirley is the head of the adult division at Carson Adler Agency. She has clients on Orange is the New Black, Law&Order: SVU, White Collar, One Bad Choice, Mysteries of Laura, The Slap, The Knick, Happyish, The Americans, Unforgettable, The unbreakable Kimmy Schmidt, Show me a Hero, SEEDS, Meadowlands, Indignation, Money Monster, Violet and many more. Denise Pillot runs the New York office of Cheryl Martin Allen Entertainment (CMA). Her clients have been on, "This is Us", "Selma", "Hangover", "Shameless", "Bunk'd", "Criminal Minds", "The Have and Have Nots", "Brooklyn Nine-Nine", "Son of Zorn", and "Hawaii Five-O". *the following will be at the 1pm and 4:30pm workshops on Sunday. You have seen Jackie's clients on Daredevil, The Get Down, Power, Blue Bloods, Boardwalk Empire, Gotham, Orange is the New Black, Law & Order SVU, Girls, The Good Wife, The Blindside, Friends with Benefits, The Sitter, and many more. *You can purchase to come to one of the intensives on Saturday or Sunday; Or choose to come both days! Each day will have 3 different guests! Each intensive is 2.5 hours long. Please note: *The cost listed below is ONLY for actors who were registered for the July 24th Intensive and did not get to audition in front of Prestige Management. Christopher Silveri from Prestige Management Group is coming to this workshop on Sunday, October 16th. Being that you did not get a chance to see him on Sunday, July 24th, you get $50 off for Sunday only. This is only while seats are still available. Seats are still first come, first serve. If the workshop is sold out for Sunday, Oct 16th, by the time you try to register, you will get a $50 refund for your payment you made to attend the workshop on Sunday, Juy 24th, for not being able to get in front of Prestige. If seats are still available for Sunday, October 16th, you must register and pay at the same time, to have your seat secured. You may not only register now and try to make a payment after the workshop is sold out for Sunday. If Sunday is sold out, Your refund of $50 will be returned to you by Monday, Oct 10th. If you do not want to come to this upcoming workshop at all, you will be refunded by Monday, Oct 10th. Not able to pay the full amount now? No worries! Reserve your seat with a non-refundable Deposit of $75. If you're interested in coming two days, you must pay the non-refundable deposit of $75 per day you would like to reserve. The remaining balance is due by Friday, October 7th, 2016. An invoice with your remaining balance will be emailed to you if you paid a non-refundable deposit. Deposits are not eligible for the Early Bird Special. Early Bird Specials must be paid in full. If you pay a deposit to reserve your seat, the remaining balance of $75 ($150 if you reserved two days) is due by Friday, October 7th, 2016. Each intensive will start with a brief Q&A with the industry guests. 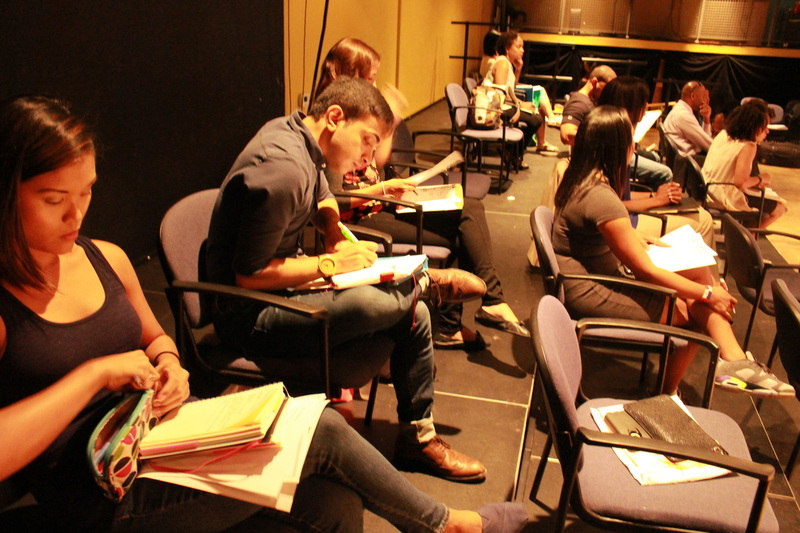 Next, each actor, one by one, will go in front of the panel and a reader to perform their scene on camera. 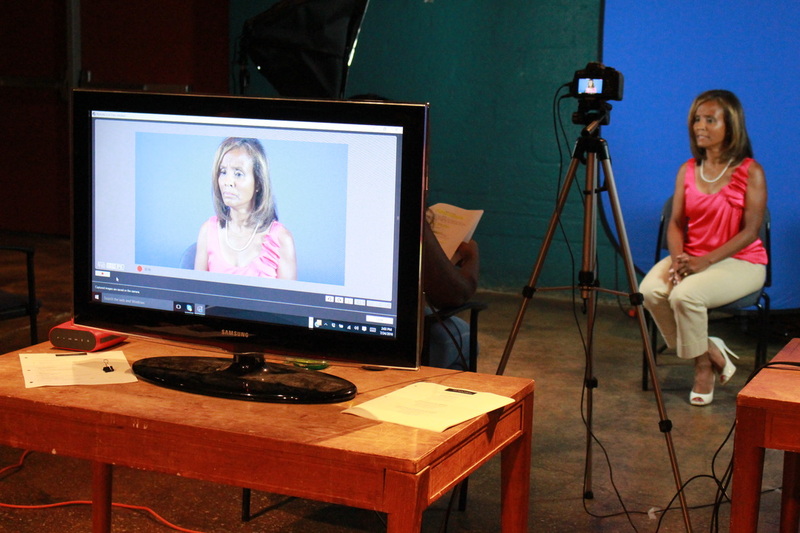 After receiving coaching and feedback, the actor will get to do the scene a second time. All other actors in attendance will be able to watch your performance live on a flat screen while you're in the room with the guests. - Each intensive is 2.5 hours. -If you wish to cancel an enrollment, you will receive a refund (not the non-refundable deposit) if the notice is received by email no later than Sunday, October 1st, 2016. For Example, if you paid the full price of $150 for one class, then $75 will be refunded to you if you cancel by October 1st. After October 1st, you are no longer eligible to receive refund. - Early Bird Price must be paid in full by Monday, September 19th, 2016 at 11:59pm.